A recent National Assessment of Educational Progress discovered that many students struggle predominantly with math. This may be for good reason, as a lot of students claim they are simply “not good with numbers.” But difficulty with learning math in grade school can make things tougher in college. One of the best ways to ensure that your child is receiving the support she needs in the math department is to hire a math tutor. Private instruction can keep your child’s confidence and grades where they need to be for success. It can be tough finding an excellent math tutor for your son or daughter. In this post, we’ll discuss some tips you can keep in mind as you start your search! It can be hard to find an educator of any kind if you are unsure of what your child’s needs specifically are. You may be seeing lower math grades on those report cards your child brings home. Or perhaps you see your son sweating over his math homework regularly. Yet both cases don’t provide much insight into your child’s specific struggles and math tutoring needs. Begin by having a conversation with your child’s current math teacher. Ask for a thorough diagnosis of your student’s struggles, including subject areas, academic performance, and even how your child behaves in math classes themselves. This conversation may elucidate that your child is really just having trouble with one mathematical concept rather than the math class itself. It can also help you better assess your son or daughter’s attitude toward math class as a whole. After this discussion, you’ll have the best idea of what math tutoring your child may need. Your child’s math teacher may have a few instructors in mind, particularly if the school provides a dedicated math assistance program. For this reason, as you are chatting with your child’s math teacher, ask for math tutor referrals. Some schools collaborate with professional tutoring companies that offer discounted services to students. In some cases, these tutoring companies can tutor your child on-site after school or during select study hours. If you aren’t able to receive any recommendations from your son or daughter’s math teacher, talk to your friends. A lot of parents investigate tutoring services during the course of their child’s academic journey and you may be surprised what referrals people can offer. You may not need to pay out-of-pocket for a math tutor. Some schools or colleges provide free tutoring assistance to students of certain qualifications and districts. Be sure to talk to your child’s school’s counselor to learn more about free tutoring programs available to students. Otherwise, do some quick research online. Your child may be able to receive math tutoring assistance from an online provider at a discounted cost. It’s possible to find stellar math tutoring through online platforms like Thinkster Math. Some companies operate solely online, giving your child a chance to brush up on numbers through their laptop. In some cases, your child may prefer online to in-person tutoring, or vice versa. Be sure to chat with your daughter or son ahead of time to see what would make them the most comfortable. If your child is incredibly shy, she may prefer to work with an online tutor, as online tutors may not feel as intimidating. On the other hand, an in-person tutor may be more adept at helping a shy math student get more comfortable working with numbers on the page. Many tutoring companies work directly with you to assess your child’s needs. They will then assign a tutor and a tutoring program based off of these needs. That tutor is not a freelancer but rather an employee of the company. On the other hand, some online tutoring platforms convene a variety of independent, freelance tutors. In these cases, you reach out directly to the tutor to request assistance. It’s important to decide what makes you and your child more comfortable. This decision may come down to budget, as most in-house tutoring programs charge more than freelance tutors. On the other hand, a lot of parents appreciate the flexibility and convenience of reaching out to independent tutors, particularly those who have built a strong reputation in the community. It’s important to ensure that your child’s math tutor is both experienced and friendly. For this reason, do what you can to get to know candidates before deciding. If you do opt for a freelancer, ask about having a trial run or a “meet and greet” before the ball truly gets rolling to ensure that tutor is right for your child. Ask about that tutor’s track record in the math subject areas in which your child needs assistance. You may also wish to assess the tutor’s experience with working with students and kids. The same goes for any tutor assigned through a tutoring program. Make sure you know the program’s reasoning for recommending a specific tutor and ask about their policy for replacing tutors if the instructor is not a good fit. At the end of the day, your child is the one receiving assistance! Make sure he or she has a voice in the matter by checking in regularly. Whom would she prefer to work with of the candidates you’ve gathered? What does her ideal tutor look like? What does she think of her math tutoring thus far? Having open communication with your son and daughter (as well as the tutor) can ensure that you choose the math tutor that will truly help them excel. 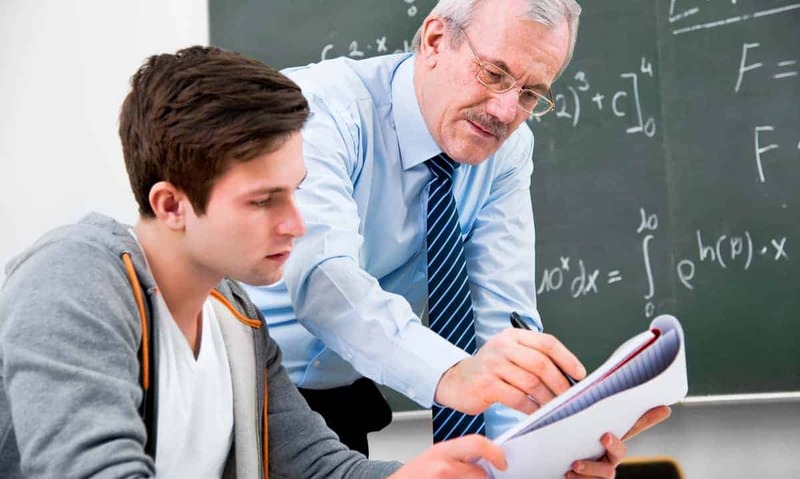 If your child needs some extra support in the math department, a math tutor may be the answer. As you go about finding a supplemental instructor, be sure to identify your student’s needs ahead of time. This may mean having a conversation with your child’s math teacher to gather referrals and recommendations. It may also mean reaching out to local tutoring companies or programs. Whatever the case, take your time with the process and always check in with your child. Give candidates a trial run and don’t settle for less than the best as you search for the math tutor that can transform your child’s experience with math. At Florida Independent, you can find answers to all of your pressing questions about living a meaningful life. Curious about how your child can achieve top grades? Learn more here to get started!